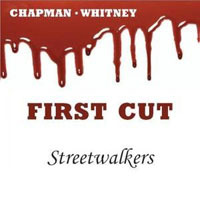 For the first time on CD the recordings that comprised the Chapman Whitney Streetwalkers release. The new CD is called First Cut and is taken from the original first master tapes. This exciting release has great new artwork, an amended running order in line with Roger and Charlie抯 original intentions for the release plus sleeve notes by Pete Feenstra.